UPPER DARBY, Pa. (WPVI) -- Firefighters had to deal with a potentially explosive situation in Delaware County on Wednesday morning. 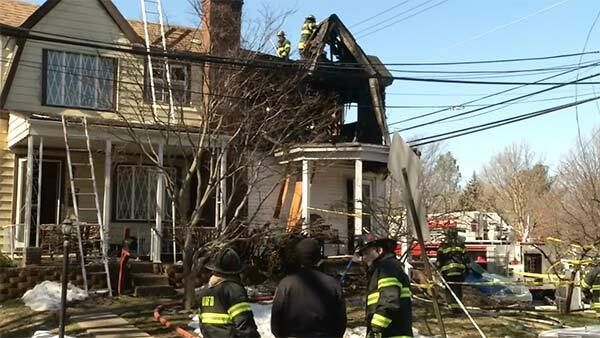 Action News was there as crews battled what was left of a fire along the 900 block of Anderson Avenue in Upper Darby. When firefighters arrived, they found flames shooting from an upper floor. To make matters worse, officials discovered there was ammunition in the house. Fortunately, none of the ammo exploded. Firefighters got the upper hand within 30 minutes.